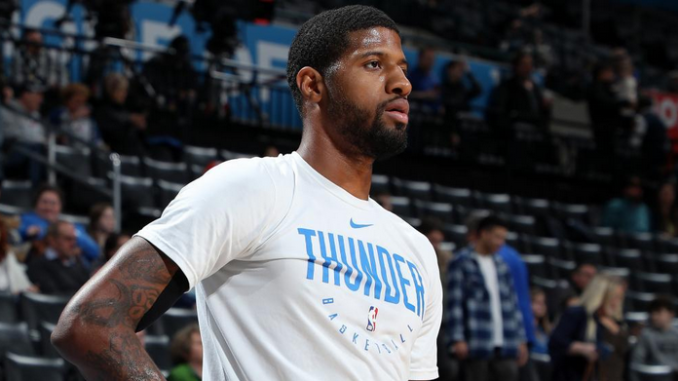 OKC surprisingly got Paul George back in the lineup last night, with a decision made shortly before tip-off. But his return from a three-game absence did nothing to contribute to a victory. The team has dropped five of their past six games. Portland, on the other hand, is coming off a loss to Memphis. Mike Conley scored 40 for the first time in his career against them, as the rebuilt Grizzlies got the best of them. Portland hopes to win this one at home to pull slightly ahead of OKC. As we mentioned above, they took a surprising loss to Minnesota, and the defense allowed 131 points. They could not slow down KAT, while D-Rose came into the game off the bench and immediately started getting buckets. It is great to see Russ playing so well of late, posting 38-13-6 last night, but he isn’t getting enough help right now. The role players have struggled to score, especially Terrance Ferguson, who has really not been playing too well of late. It’s been very surprising to see Hamidou Diallo completely out of the rotation too. But this is a team that will still make the playoffs and is in control of their own destiny. They are locked in a tight race right now, with seeds three through six separated by less than two games. If they can get hot over the next week or two, they can create some separation, and in turn, avoid a second-round meeting with the Warriors. The expectation for OKC should be to at the least, get out of the first round. They have been up and down, but they have a chance to slide into the #3 spot in the playoff picture with a win. As it stands now, they would face the Rockets in the opening round, a team they beat five years ago in this same scenario. The struggles of Evan Turner and his $18 million a year have been masked by the recent additions of Rodney Hood and Enes Kanter, who have both played very well off the bench. Jake Layman continues to make big plays, and give the team an alternative for Al-Farouq Aminu, who has been horrendous offensively. As is always the case, this team will win only if Dame and CJ can get buckets. Both are having terrific seasons, but the team is once more in the middle of the pack. They haven’t stood out as an elite team at any point this season, despite being inside of the conference’s top-four. If they can put a winning streak together, they could pull ahead of OKC, and get comfortable in the #3 seed. Yep. We’re going with the Blazers, as the recent slide will continue for OKC. The Blazers will beat their opponent to 40 wins with their impressive effort in this ballgame. Go Portland go.